Glencoe; A a fabulous 5 Star STB detached loch side property with wonderful views over Loch Leven to the mamore hills beyond. This wonderful luxury property is furnished and equipped to the very highest of standards throughout, the house has Sky Television , a 60" plasma Tv and WiFi to name just a few of the extras which are standard in this fantastic property. 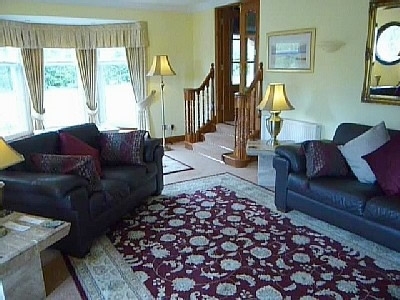 Dalcraig House is situated on the shores of Loch Leven set in 5 Acres of shores line. 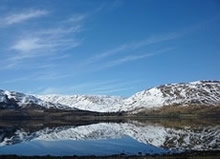 This substantial 5 Star Loch Side ScottishTourist Board property offers those of us who are looking for something a little bit special the perfect accommodation in terms of size standards and of course location. 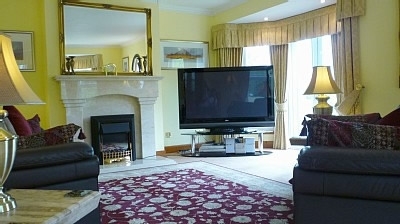 Dalcraig House has breathtaking views over Loch Leven and to the Mamore Hills beyond. In terms of comfort and location this house is really unparralled in this area. 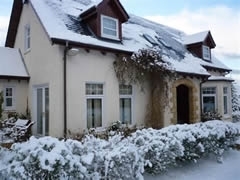 Dalcraig House offers all the comforts of a five star Scottish Tourist Board property and lots more. This property is furnished to an extremely high standard throughout, there is private secure parking a lovely tiered garden area with pond, garden seating and access to the lochs edge.